Nashville Premises Liability Lawyer | Raybin & Weissman, P.C. If you or someone you love suffered injuries while on somebody else’s property–whether in a restaurant or store, a parking lot or a park, a home or a sidewalk–you may be able to seek compensation for your pain and suffering, as well as for various financial losses related to those injuries. The liability in such cases depends on negligence and on the foreseeability of harm. Was the property owner (or the tenant in control of the property) negligent? Did that person or entity fail to take reasonable care to keep the premises safe for patrons or social guests? Could the property owner have taken measures that would have prevented the harm? Given the benefits to the public, would the cost of such measures have been justified? Was the injured person negligent as well? In Tennessee, property owners have a duty to remove dangerous conditions that they are aware of or should have become aware of through reasonable efforts (for example by regularly inspecting the property), or to warn guests of those hazardous conditions. However, the fact that an injury occurred is not enough to prove that the property owners were negligent. If the injury was not foreseeable, the property owner would not be considered negligent. Terms like “foreseeable” and “reasonable” are open to different interpretations. Thus, if you suffered an injury while on someone else’s property and are considering bringing a premises liability claim against the owner or tenant in control of the premises, it is crucial that you discuss the details of your case, as soon as possible, with an experienced Tennessee premises liability attorney. Premises liability cases don’t always involve slip-and-fall or trip-and-fall accidents (although those are common and can sometimes lead to Catastrophic Injuries). Another type of premises liability claim applies when people are injured by attacks that took place on someone else’s property, if the property’s owners provided inadequate security [link to Inadequate Security page] for their guests. In addition, when the injured victims are children, property owners may be held responsible under the theory of “attractive nuisance”–if those owners created a condition that enticed the children to come onto their property. 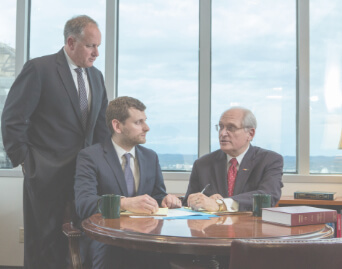 Based in Nashville, the experienced Nashville trial lawyers at Raybin & Weissman, P.C., represent clients in premises liability cases throughout Tennessee. We are committed to providing exceptional client services in each case that we undertake. In any case that involves personal injury or a wrongful death caused by someone else’s negligence, our initial consultation is free. Please contact us today for more information and a knowledgeable and honest assessment of your case. For a free consultation, please call 615-256-6666 or fill out our online “Contact Us” form. Read more about our personal injury lawyer: David Weissman. He has the experience to help you. Do I Need a Lawyer to Appeal a Social Security Disability Denial? How Much Is My Tennessee Personal Injury Claim Worth?